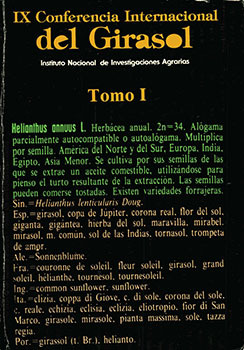 In this publication all the papers of "IX International Congress of Sunflower, are collected, 8-13 June 1980. (Torremolinos - Málaga - Spain). Volume I. Physical Description : 461p. ; 15x21; il.